Obama's Diplomatic Gamble On Iran Adding Instability In Middle East : It's All Politics Limited though it may be, analysts say the administration's negotiation with Iran has shaken traditional allies and left both friends and enemies uncertain about what it will do next in the region. 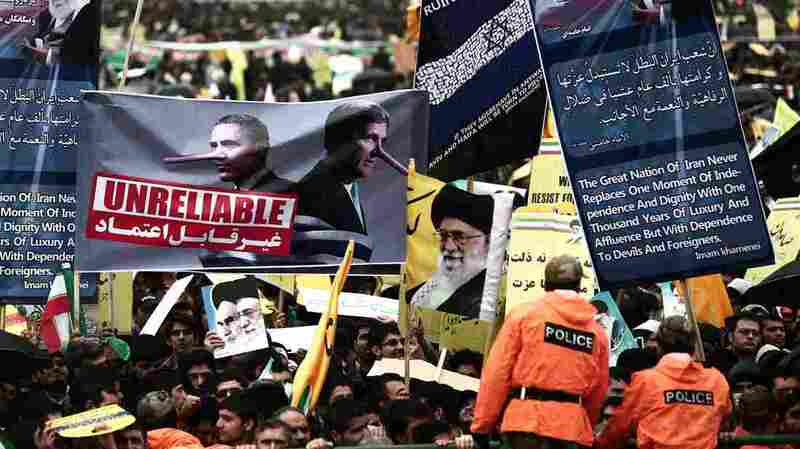 Iranian demonstrators hold signs mocking President Obama and Secretary of State John Kerry in February. President Hassan Rouhani delivered a speech saying said the world needs Iran to help stabilize the troubled Middle East, in remarks pointing to wider ramifications of a deal over its disputed nuclear program. Even before he became president, Barack Obama was imagining the possibilities of a diplomatic breakthrough with Iran. His willingness to reverse decades of official U.S. hostility was one of the things that set Obama apart on the campaign trail. "We have to have a clear break with the Bush-Cheney style of diplomacy that has caused so many problems," Obama told NBC's Meet the Press in November 2007. Polls suggest most Americans have come around to supporting a deal that would relax economic sanctions against Iran in exchange for limits on that country's nuclear program. But analysts say in carrying out his diplomatic gamble, Obama has added to instability in the Middle East. "We must try as best we can to balance isolation and engagement, pressure and incentives, so that human rights and dignity are advanced over time," Obama said five years ago, accepting the Nobel Peace Prize. "In this region — broken, angry, and dysfunctional — this president doesn't have a whole lot to point to," said Aaron David Miller of the Wilson Center. "In fact, you could argue that this region is profoundly worse than it was in 2008." Longtime diplomat Hillary Mann Leverett applauds Obama's original vision of renewing ties that were severed after the Iranian Revolution in 1979. "It doesn't mean giving up one ally for another," said Mann Levertt, co-author of Going to Tehran. "It does mean having more of a balance, where a natural, large power like Iran serves as a balance to some of the even reckless impulses of our allies." She likened the idea to Nixon's outreach to China, recognizing Iran as a rising power that's here to stay. Obama himself drew the same comparison in his Nobel Peace Prize speech five years ago. "We must try as best we can to balance isolation and engagement, pressure and incentives, so that human rights and dignity are advanced over time," Obama said. But Mann Leverett argues Obama hasn't gone far enough, either in reshaping the U.S. treatment of Iran or selling the change to the American public. His overture is less like Nixon's broad outreach to China, she said, than Jimmy Carter's unsuccessful effort to achieve a SALT II treaty with the Soviet Union. "It just all seemed too hard," Mann Leverett said of Obama's Iran initiative. "He had these strategic impulses, but was never able to put it through into a real strategy." Limited though it may be, the administration's negotiation with Iran has shaken traditional allies such as Israel and Saudi Arabia. Meanwhile, through its action and inaction elsewhere in the Middle East, the U.S. has left both friends and enemies uncertain about what it will do next. "I think we've been reactive," said David Rothkopf, editor of Foreign Policy. "I don't see a strategy. I think we're sort of back on our heels and not quite sure what to do." Rothkopf argues that Iran has capitalized on the administration's hands-off approach to the Middle East, expanding its influence from Syria to Yemen. "The Middle East has never been as dangerous as it is right now. And that's saying something since the Middle East has been dangerous for a long time," Rothkopf said. The White House insists a nuclear deal with Iran would defuse the biggest threat to the region. The Wilson Center's Miller agreed a negotiated deal that stops or even stalls Iran's nuclear program is preferable to the likely alternative of military action. But he dismisses as wishful thinking any expectation that Iran's diplomatic rehabilitation will produce a new, more stable Middle East. "Perhaps in a galaxy far, far away, that is a possibility," Miller said. "I don't see that happening now." 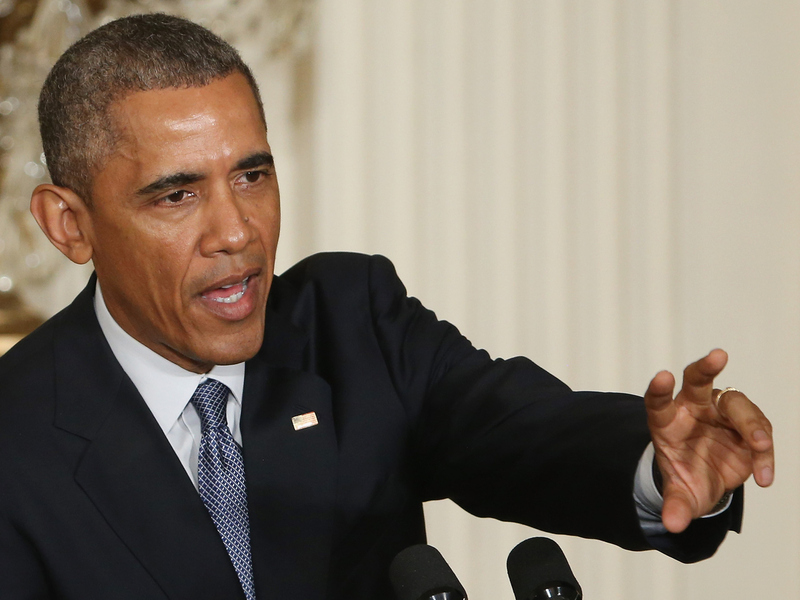 President Obama has been eyeing a possible diplomatic breakthrough with Iran since before he became president. His willingness to reverse decades of official hostility was one of the things that set him apart during his first bid for the White House. Polls suggest most Americans now support the idea of a nuclear deal with Iran, but analysts say the president's diplomatic gamble risks leaving the Middle East more unstable than ever. NPR's Scott Horsley has that. SCOTT HORSLEY, BYLINE: With the nuclear talks in Switzerland running up to and over the deadline, Secretary of State John Kerry had to skip yesterday's dedication of the new Ted Kennedy Institute in Boston. President Obama made apologies for his top diplomat, borrowing a quote from Kennedy's brother John. PRESIDENT BARACK OBAMA: Let us never negotiate out of fear, but let us never fear to negotiate. HORSLEY: Negotiation, even with rogue states like Iran, has long been part of Obama's foreign-policy philosophy. He told NBC's "Meet The Press" back in 2007 that even if he couldn't change the minds of the Ayatollahs, he could at least show the Iranian people, and the rest of the world, that the United States is willing to listen. OBAMA: We have to have a clear break with the Bush-Cheney style of diplomacy that has caused so many problems and has actually weakened our ability to deal with a very real terrorist threat. HORSLEY: Longtime diplomat Hillary Mann Leverett applauds that original vision of Obama's. In her book, "Going To Tehran," she argues the U.S. needs a new relationship with Iran. HILLARY MANN LEVERETT: There's no way that you can pretend that a population of almost 80 million that's extremely sophisticated, well-educated, sitting on an enormous hydrocarbon base - we can't wish that away. That is a power that is here to stay and is a rising power. HORSLEY: Mann Leverett says a genuine diplomatic opening with Iran could've been like Nixon's bold initiative to China. Obama himself drew the same comparison in his Nobel Peace Prize speech five years ago. OBAMA: No repressive regime can move down a new path unless it has the choice of an open door. 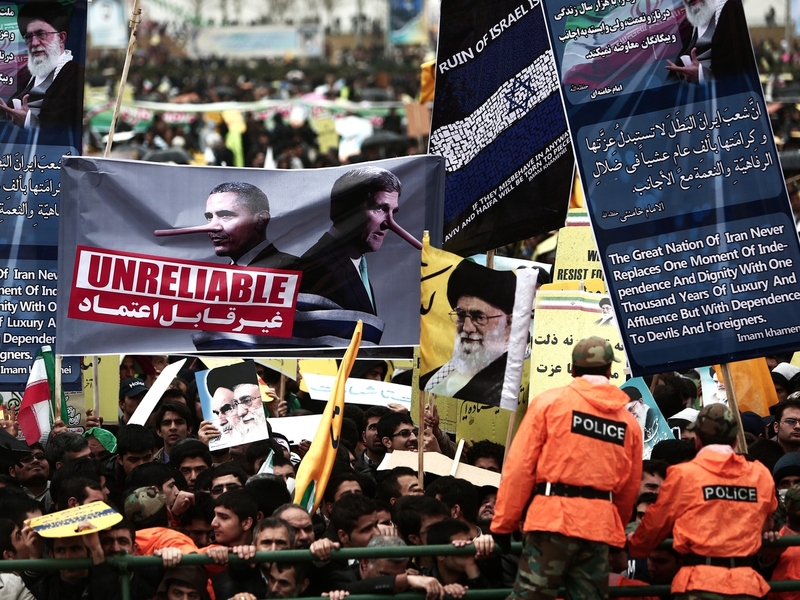 HORSLEY: But Mann Leverett argues Obama hasn't gone far enough, either in reshaping the U.S. treatment of Iran or selling the change to the American public. MANN LEVERETT: It just all seemed too hard. He had these strategic impulses, but was never able to put it through into a real strategy. HORSLEY: By focusing instead on a narrow nuclear arms deal, Mann Leverett says, Obama's been less like Nixon and China, more like Carter and SALT II, the failed nuclear deal with the Soviet Union. Limited though it may be, the administration's negotiations with Iran have shaken traditional allies in the Middle East, such as Israel and Saudi Arabia. Foreign Policy Editor David Rothkopf says through both action and inaction, the White House has left friends and enemies uncertain of what the U.S. will do next. DAVID ROTHKOPF: I think we've been reactive. I don't see a strategy. I think we are sort of back on our heels and not quite sure what to do. HORSLEY: Rothkopf says Iran has capitalized on the administration's hands-off approach to Syria and - initially, at least - Iraq. From Lebanon to Yemen, he says, Iran's power appears to be on the rise, while America's role appears shaky and inconsistent. ROTHKOPF: The Middle East has never been as dangerous as it is right now, and that's saying something since the Middle East has been dangerous for a long time. HORSLEY: The White House insists a nuclear deal with Iran would defuse the biggest threat to the region, and some analysts agree that's preferable to the likely alternative of military action. Aaron David Miller, of the Wilson Center, sees a genuine, though limited, benefit to stopping or even stalling Iran's nuclear program through negotiation. But he dismisses as wishful thinking the idea that Iran's diplomatic rehabilitation will produce a new, more stable Middle East. AARON DAVID MILLER: Perhaps in a galaxy far, far away, that's a possibility. I don't see that happening now. HORSLEY: Miller says whether or not it manages to strike a deal, the administration will still have to pay attention to all the other challenges in the Middle East that the Iranian talks haven't solved and which, in some cases, they have made worse. Scott Horsley, NPR News, the White House.